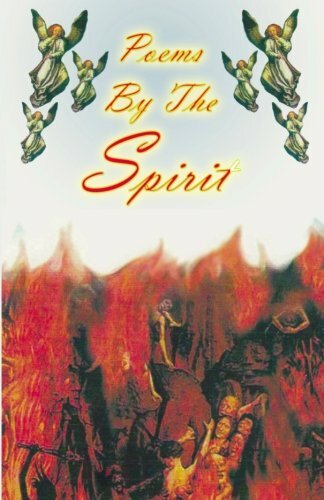 Poems by the spirit is a volume of poems that depict life's challenges, choices and opposition whereby offering solutions through prayer, wisdom, love, honor and forgiveness. This book is the word of God in poetry form. It is truly amazing how God can use His word in many forums in order to touch the hearts of humanity and draw us back to Him in order for us to know our purpose and destiny in life! Ms. Daryl Richardson is a native New Yorker and a former dancer of stage, television and film. She has appeared on Broadway in, The Wiz; Sophisticated Ladies; Can-Can, Guys & Dolls and Anything Goes. Her film Credits include, The Wiz Movie; A Chorus Line (The Movie); The Mask; What's Love Got To Do With It; Junior; Hoodlum and Monster Mash. Ms. Richardson has toured with known artists such as Babyface, Barry White and Earth, Wind & Fire. Her television credits include, The Academy Awards; The Essence Awards; The Soul Train Awards; The Emmy Awards; Cinderella; The Jamie Fox Show; The Drew Carey Show; Arsenio Hall and The MTV Awards. Ms. Daryl's choreography credits are Bishop TD Jakes Stage Play, Women Thou Art Loosed; Deliver the Dance and Children of God. She also choreographed her appearance in Paula Abdul's Skat Kat Video and she was the assistant choreographer for Michael Jackson's Bad Video. Ms. Daryl brings her professionalism and expertise back into her community of Queens NY in order to tap into a child's natural talents, gifts and abilities. She is the director of The Me Nobody Knows Dance Academy where the Glory of God is seen through every genre of dance. She is also the CEO of "Me Nobody Knows Inc" which is a non profit organization that targets youth by way of Mentorship, Etiquette and Empowerment through the Performing Arts. Ms. Daryl believes that the arts call on the physical, spoken, singing, dancing, walking talking self of every child, whereby preparing them to assume leadership roles in life by nurturing their own talents in order to ultimately pursue a promising, successful future. This ultimately will produce a well balanced child. Ms. Daryl operates in the Apostolic and the Prophetic Anointing and she gives Glory to God for her life and desires for her life to Glorify God! Her greatest assignment thus far is being the proud parent of her 18 year old daughter Trinity.